Ever since we moved into our apartment a year ago, I have been saying that I need to decorate my home office. It was a beige box with four plain walls. Nothing much to look at, certainly not inspiring. 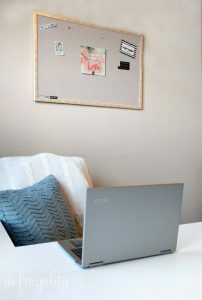 So today I thought I’d share with you my big reveal, as well as share with you a few tips about getting organized, both in the physical and digital world! 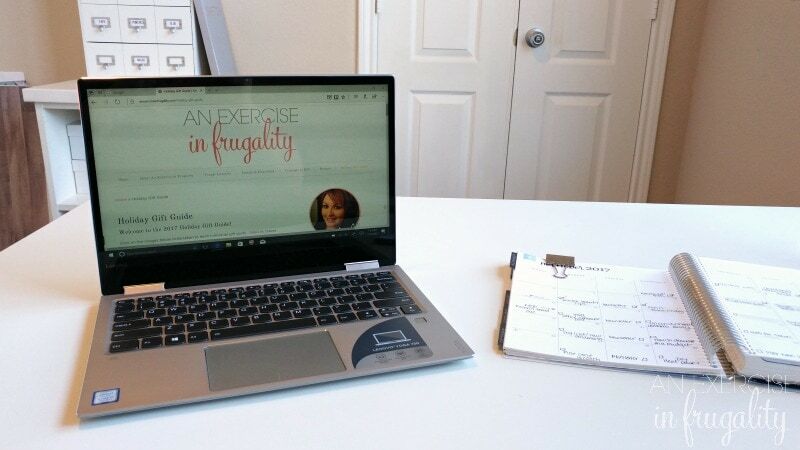 Now, I wanted to keep my office budget friendly (this is a budget-friendly blog after all) so I tried to use primarily things I already have, as well as inexpensive items to help create an organized haven. As a blogger, I spend way way too many hours working, be it at my desk, on the couch or at a coffee shop. 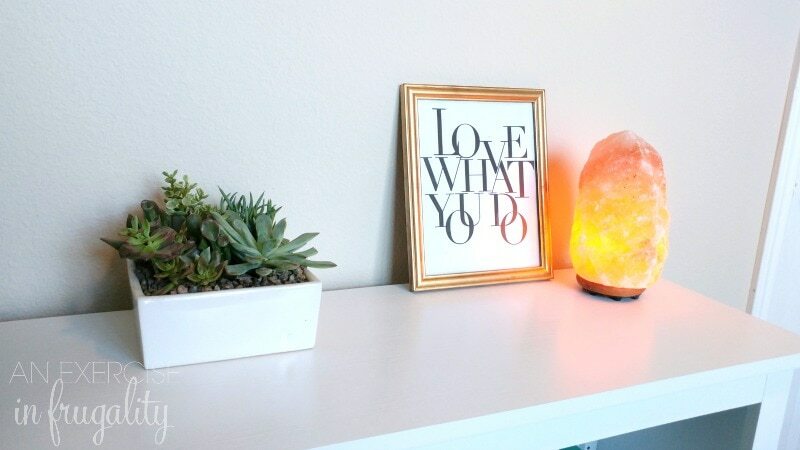 So when I’m at my desk, I need the space to feel zen. I am not one of those naturally organized people, not by a long shot. But if my desktop is cluttered, I find it extremely distracting. This goes for my computer desktop too, but we’ll get to that later. I wanted to show you guys the refresh of my primary workspace. This is my home office. 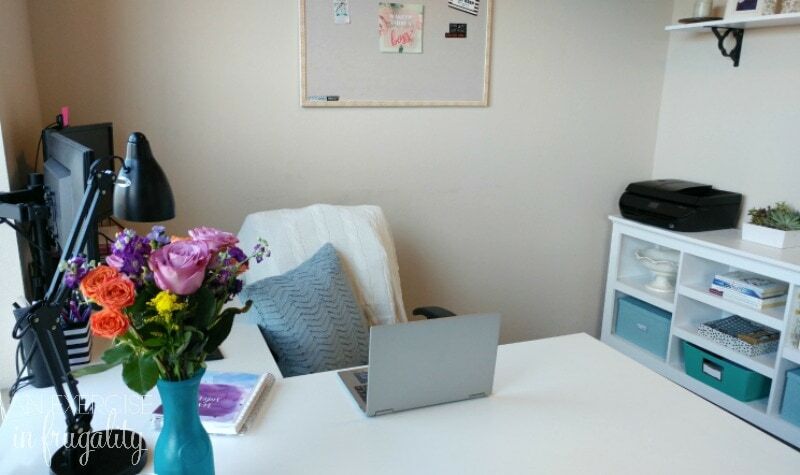 It’s nothing much, certainly not one of those Pinterest eye-candy offices ripped straight from the pages of a magazine, but it’s cozy, it’s bright and most importantly it’s MINE! 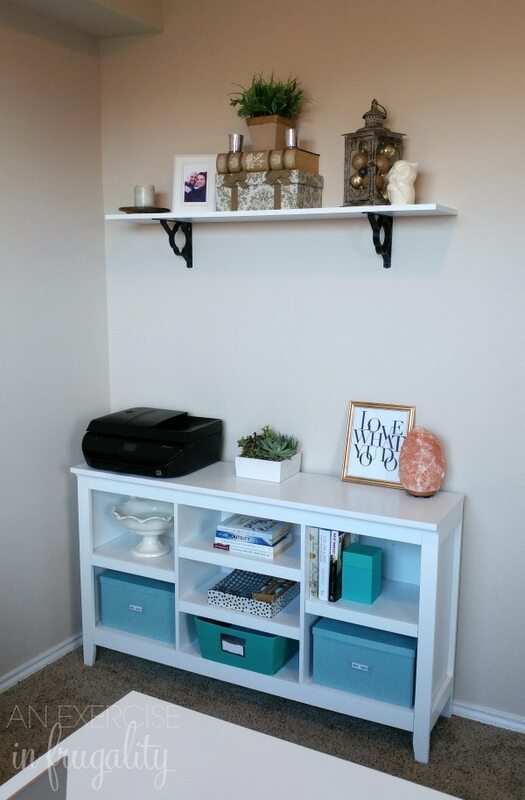 When doing the home office refresh I had a couple goals in mind. Get rid of what’s no longer working for me. So I started purging junk I no longer needed, scanned documents and saved the digital versions so I could reduce paper clutter. I rounded up boxes and other storage containers for various supplies. While I love the look of open shelving and all those fancy shelf displays, I know my real life calls for CLOSED containers. Closed containers = hiding clutter. Cute labels help easily identify contents even when they aren’t visible. I know myself well enough to know that while I do love to see beautiful displays of objects organized by color, I know that I do not have the time nor mental energy to maintain that kind of thing, so into boxes they go! If this is you too, don’t feel guilty, stash that stuff in boxes, throw a label on it and move on. No judgement! 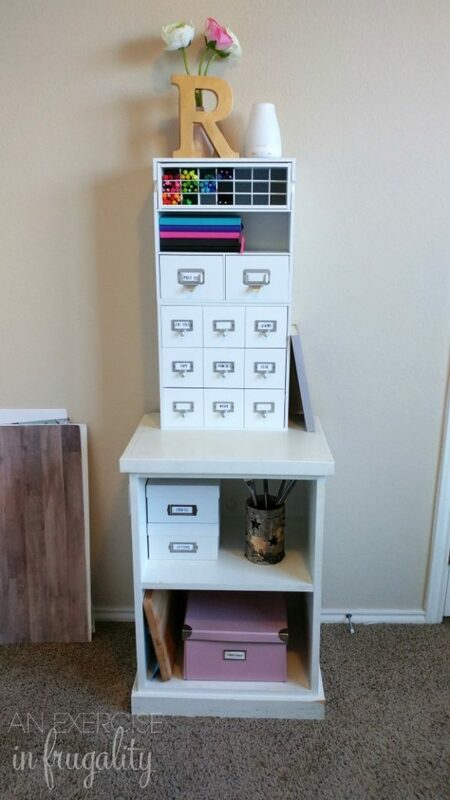 I have craft and office supplies for blog posts in these drawers and the shelves below. Washi tape, paint, pens, brushes, and glue make up most of the contents here. The drawers have little dividers in them to keep everything separate. 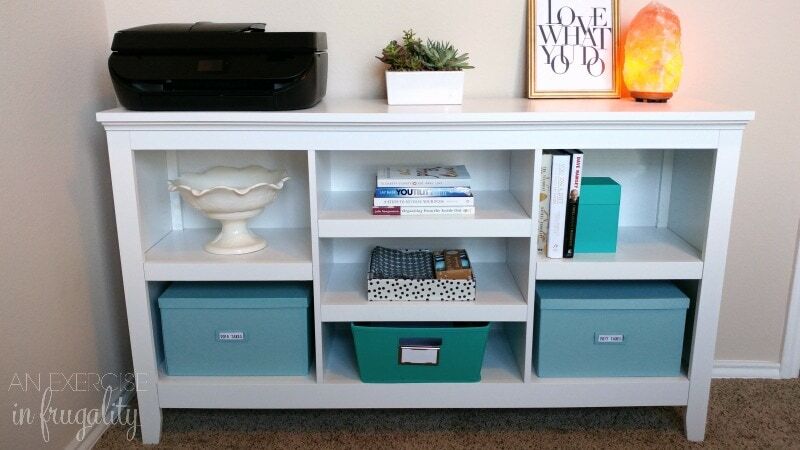 This shelf unit is so simple but I totally fell in love with it. I keep stuff I need close at hand here. Printer paper and ink cartridges are tucked away in one of these bins. Receipts and tax documents are neatly out of sight in the boxes. The shelves above right now are mostly decorative items and a few things in boxes I don’t need often. Behind my desk, I’m slowly starting to build my vision board. It’s going to get filled with goals, motivational quotes, and other inspirational awesomeness to keep me focused on my game. I love this concept and am going to add to my collection over the next couple months leading into the new year. The desk itself is made from two tables and a set of drawers. Super inexpensive, but allows me to have lots of workspace. I have a desktop computer here, but since I got my new Lenovo Yoga 720 with 8th Generation Intel® Core™ processor, I don’t use my desktop nearly as much. Why? Well that desktop is a Frankenstein of sorts-pieced together from old parts (except the monitors). Sort of a “ghost of computers past” if you will. It’s the joys of being married to an IT manager. You know that saying the cobbler’s children have no shoes? Well the IT manager’s wife gets hand me down computers…until now! I figured that while I was refreshing my office, I would refresh my tech too. When I heard that the 8th Generation Intel® Core™ processor was coming out, I asked Mr. Frugality to explain it to me in lay people terms. He basically said that with this new generation of processors, most people will feel like their laptop is just as fast as a desktop. In my case, my new Lenovo is actually faster than my desktop. For me, that makes a big difference because I can get work done faster (like editing photos, blogging, managing social media) and I can also enjoy some downtime by streaming video without worrying about bogging down the processor. The responsiveness is unprecedented-I was reluctant to upgrade (I tend to fear change!) but when I heard there’s a 40% jump in performance between the 7th gen and 8th gen processor, and nearly 2x better performance from my current desktop, I was totally sold. Speaking of processing power, see that cute little printable on my vision board? 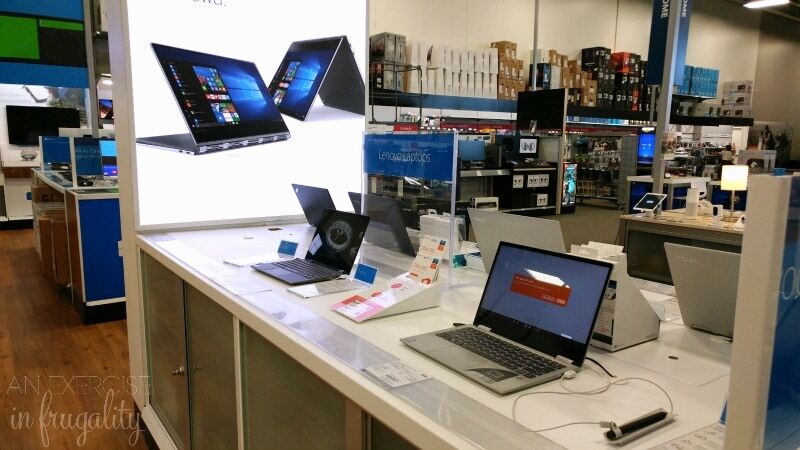 I designed it using some free online tools, and the 8th Generation Intel® Core™ processor handled it like a champ! I love that I can crank out graphics, do photo editing and stream video without missing a beat. I was so excited with how the printable turned out that I decided I’m going to make it a free download! You can get your own copy of this cute inspirational printable here. Please do not sell it or claim it as your own, but you can share the link to this post with anyone who you think might like it too. 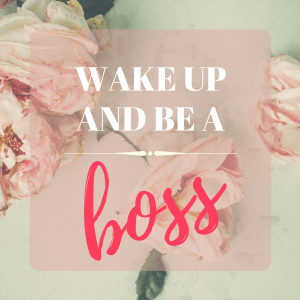 Download your free vision board printable here! I know my creations, photos, personal information and identity are safe on this little guy because the 8th Generation Intel® Core™ processor comes equipped with fingerprint technology! How cool is that?? 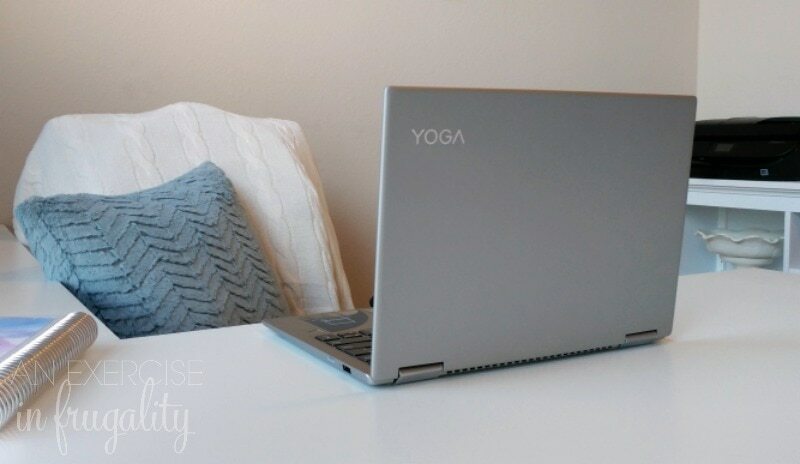 I can have peace of mind when traveling with my Yoga 720 because there’s an automatic layer of protection built in against hacking and provides FAST data encryption so everything is organized AND safe. 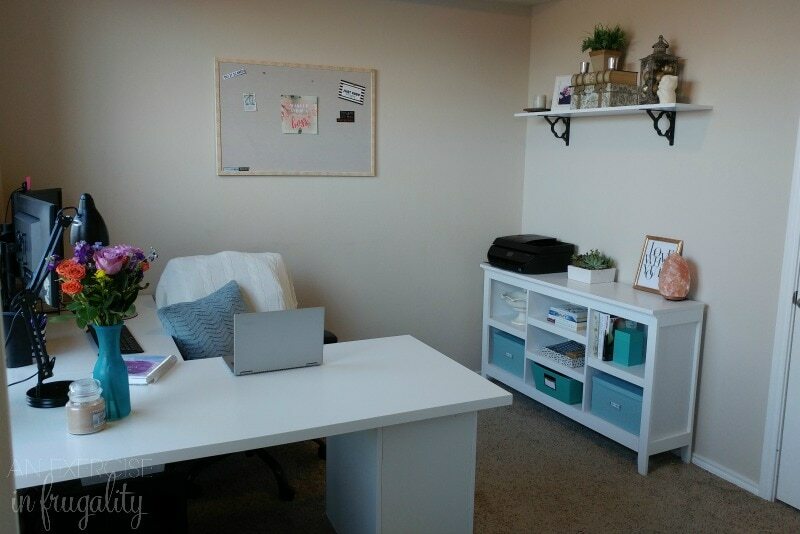 What do you think of my office refresh reveal? I think I want to add something to the wall around the bulletin board, but I’m not sure what. Obviously I plan on putting more stuff on my vision board as we get closer to the new year, so maybe once that’s filled in it will look less empty? What do you think? I’d love to hear your suggestions in the comments! If you are thinking about refreshing your PC, be sure to check out the Lenovo Yoga and the other amazing devices with the 8th Generation Intel® Core™ processor at Best Buy! 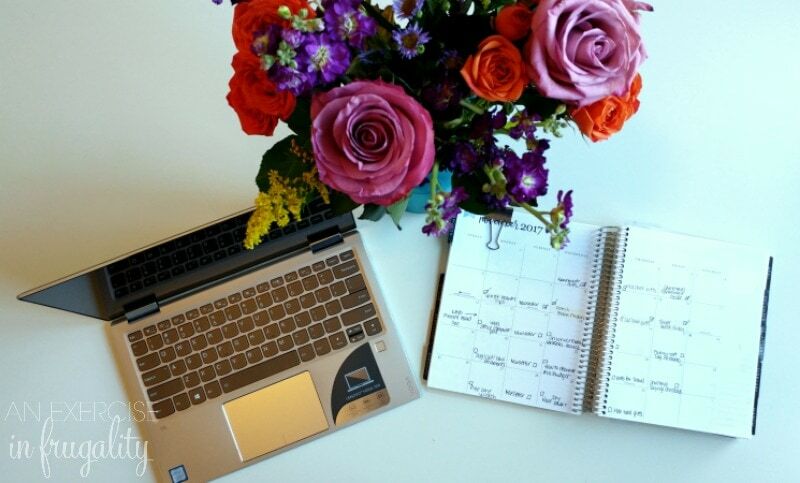 Will you be refreshing your PC or your home office soon? Very nice. Looks simplied, clean and modern. Super cute Rose!! Looks so inviting and relaxing.